RS Engineering is instrumental in the arena of manufacturing an assortment of JIb Crane, Girder Crane, Girder Hoist, Goods Lift and many more. 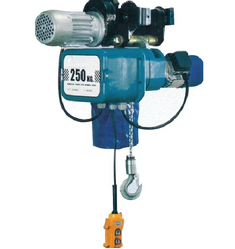 Owing to our enormous industry knowledge, we have become the most eminent provider of Indef make Wire Rope Electric Hoist. Crafted and developed by us in adherence with set quality standards utilizing supreme grade components and modern technology. Kindly contact form more information. 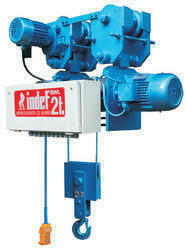 *Two speed motor (standard)/VFD optional. Trolley Option: Trolley Not Required. can be hinged to any pole. Being a client-centric organization, we are engaged in manufacturing and supplying Industrial EOT Cranes Parts. In addition, we provide maintenance and repairing services for our offerings, rendered by our technical experts.